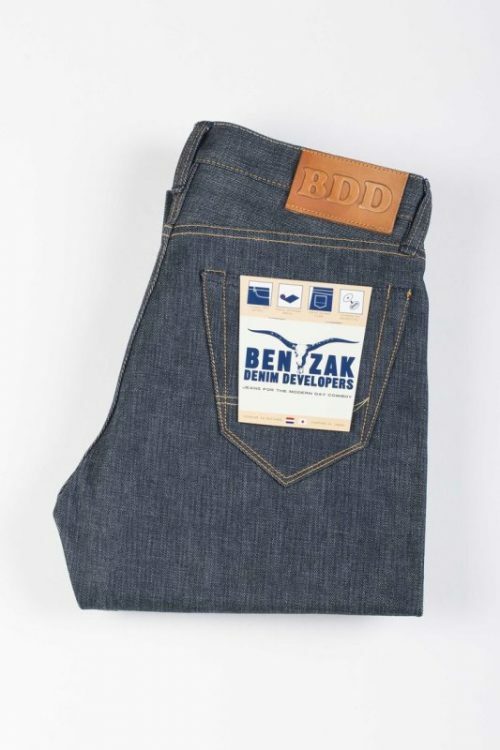 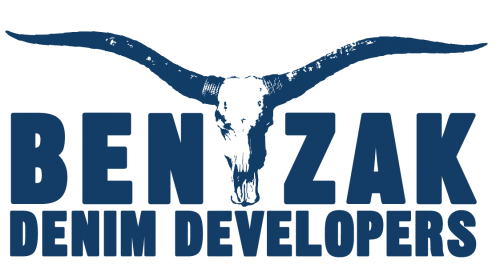 Brand: Benzak Denim Developers (BDD) – fit BDD-710. 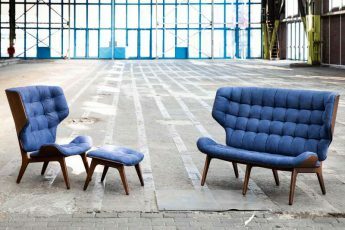 Made in Japan, designed in Holland. 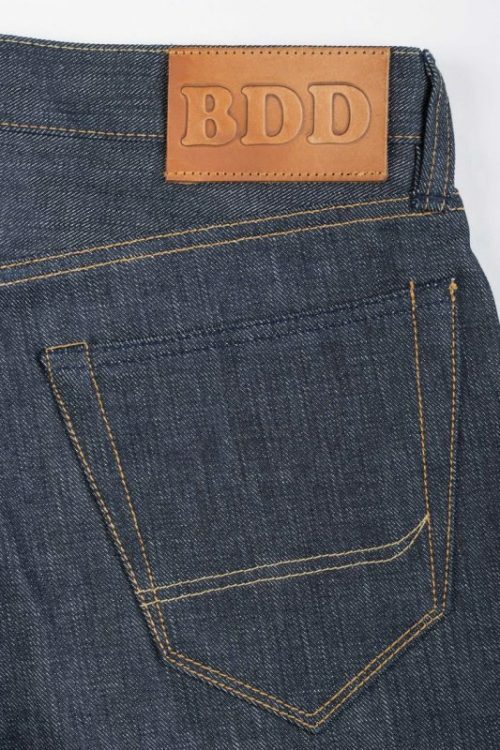 The BDD-710 is a regular fit based on a 1960’s fit, but with a 4 button fly, and slightly tapered legs. 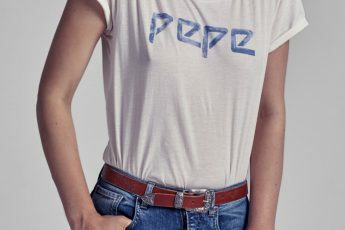 This is a true vintage cut. 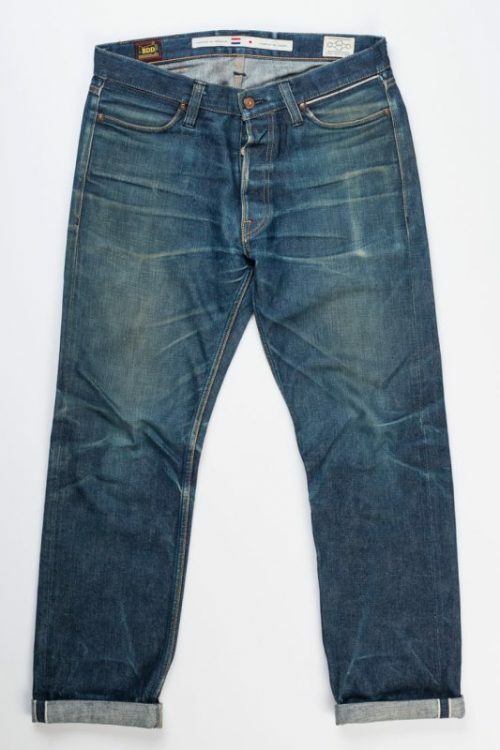 The BDD-710 jeans is made of a greencast denim fabric which is a left hand twill made from Zimbabwe cotton, by Collect Mills from Kojima, Japan. 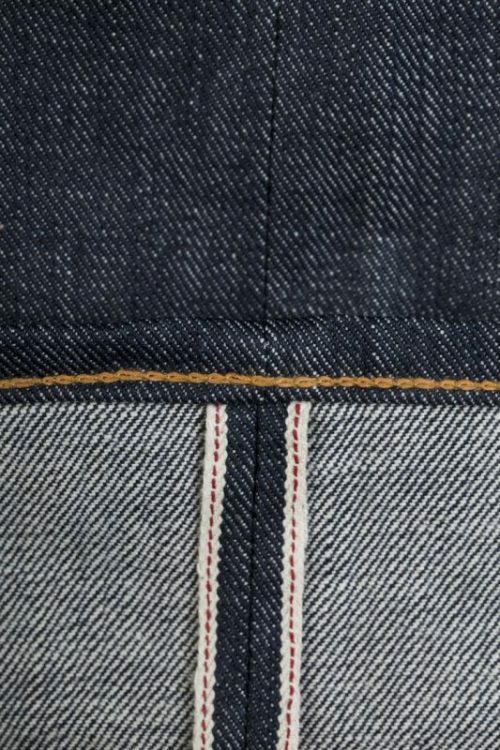 The green colour is inspired on vintage deadstock denim and gets green by wear and wash. 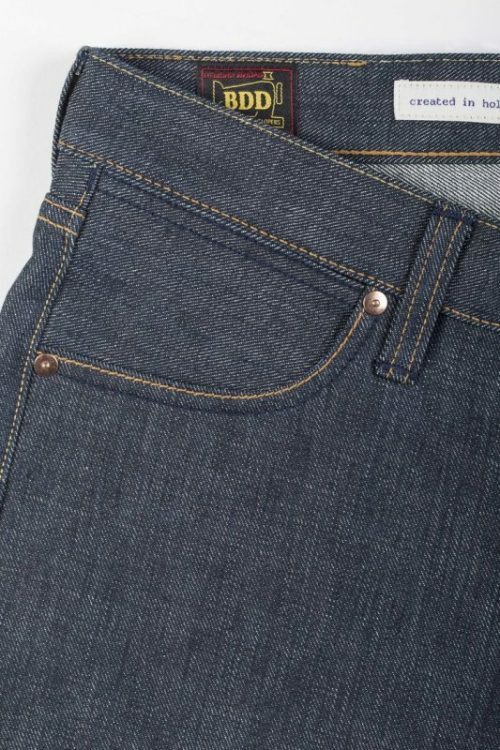 The left hand twill will make it super soft in time, without losing its heavy body. 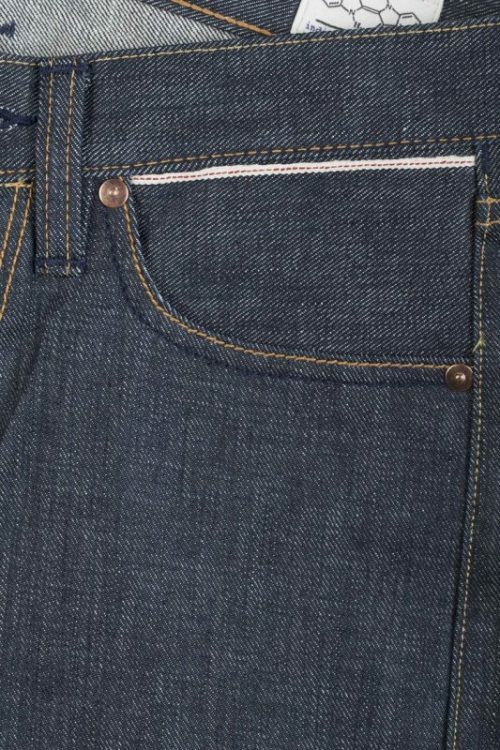 The cotton is a Zimbabwe blend, known for its long and strong staple. 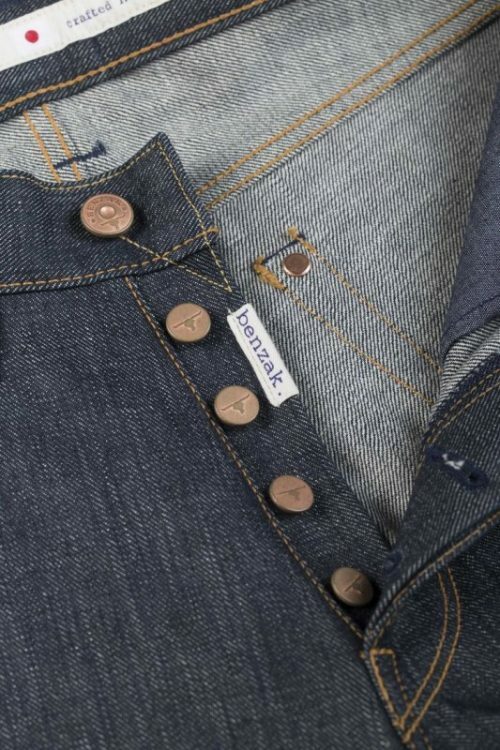 This fabric was the one that started the Benzak Denim Developers made in Japan line back in 2013. Because the denim is sanforized, minor shrinkage is expected after the first wash. 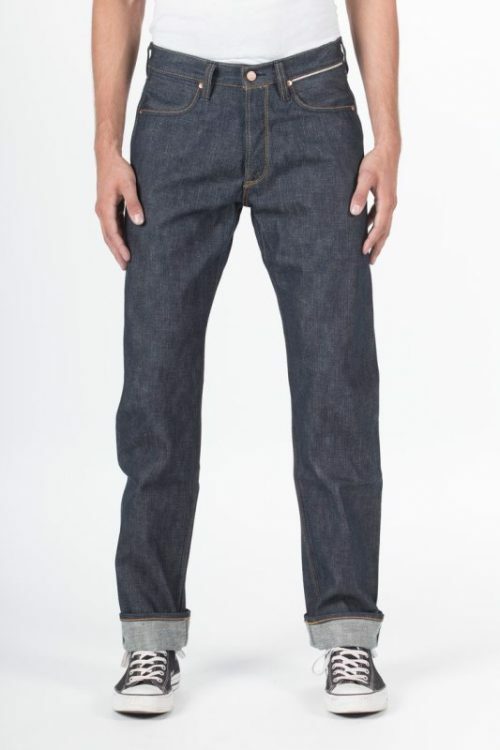 The Benzak Denim Developers (BDD-710) is now reduced in price, so get your hands on a pair here.